750 mL volume. Single use container. 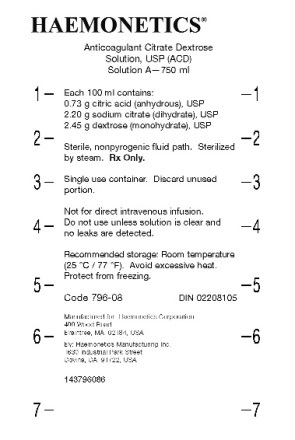 For use with automated pheresis equipment only. Use according to equipment manufacturer’s instructions. This unit should be used for pheresis only. Do not use unless solution is clear and no leaks detected. Rx only. Discard unused portion. Recommended Storage: Store at room temperature (25°C / 77°F). 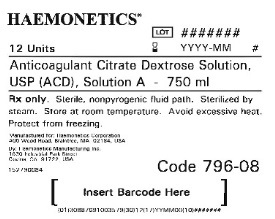 HAEMONETICS and THE Blood Management Company are trademarks of Haemonetics Corporation.